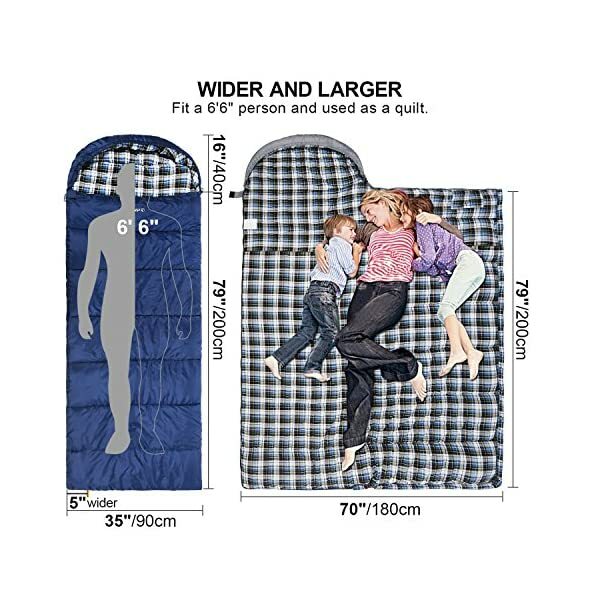 Larger and Softer: Long size is 95″x35″/240cm x 90cm. 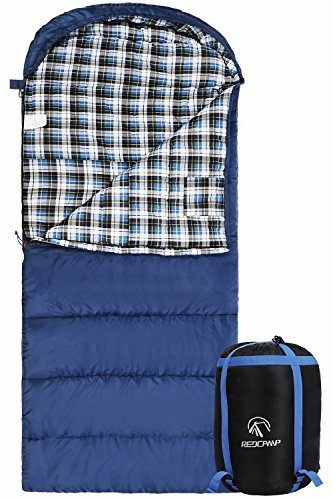 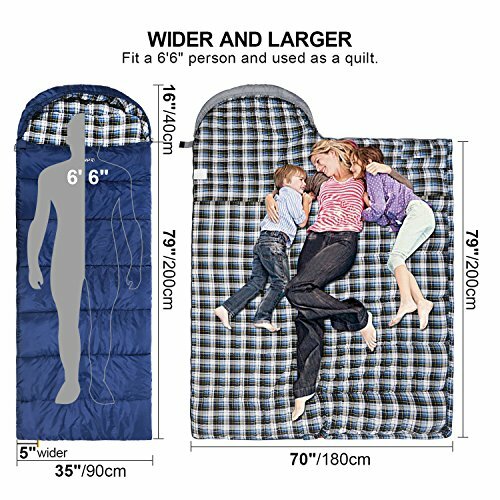 Perfect XL cotton flannel lined sleeping bags for adults of 6’6″ in tall. 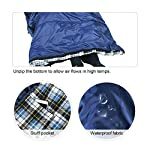 High-quality and durable 210T polyester ripstop fabric, waterproof and stands up to years of use. 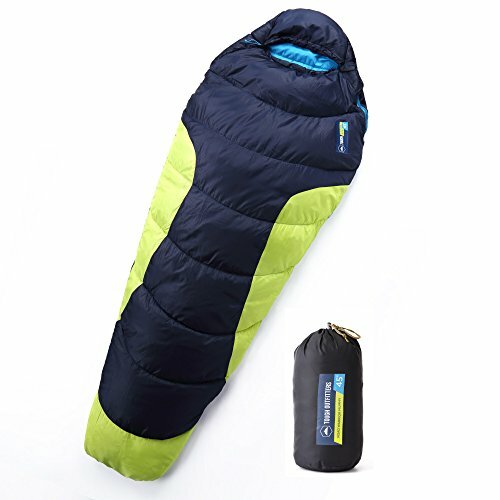 Temperature Range: 2lbs filling sleeping bags is comfort in 32°F(0 degree cold weather) and fits temperature range 23 – 41 °F/-5 – 5 °C. 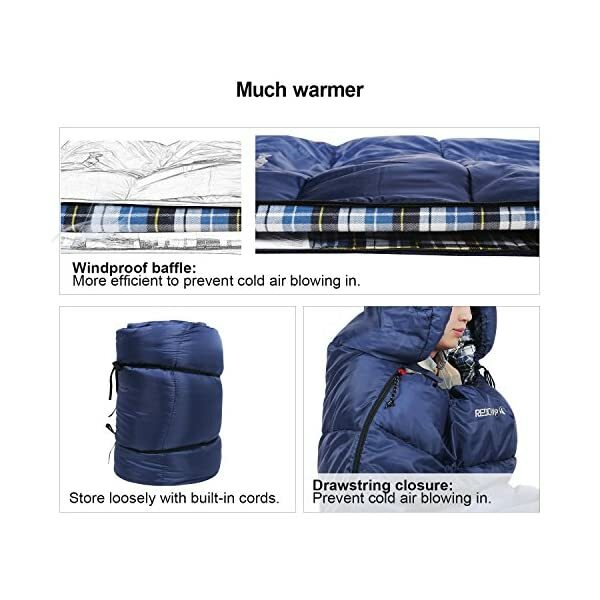 3lbs filling sleeping bags is comfort in 23°F/-5°C and fits temperature range 14 – 32 °F/-10 – 0 °C. 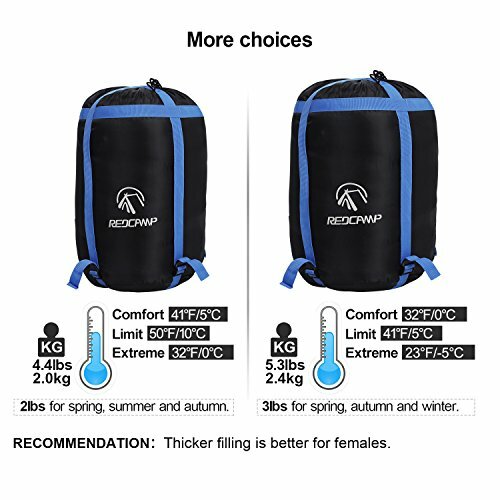 Females are recommended to choose the thicker sleeping bags. Reverse Zipper: 2-way zippers can zip 2 bags together to be used as a double-bag with flannel lining. 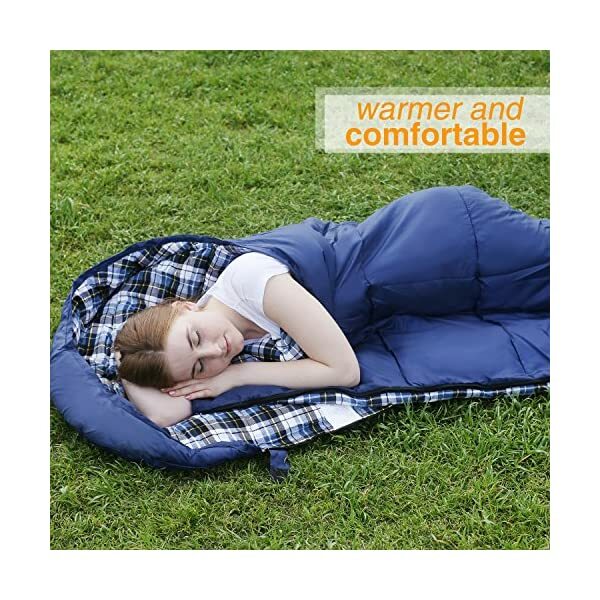 – Size is 95″ x 35″, fits one adult comfortably or two kids snugly. – Warmer and Comfortable. 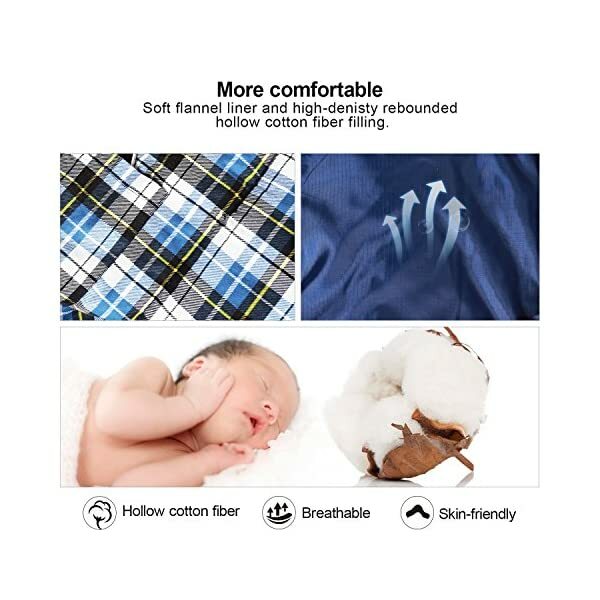 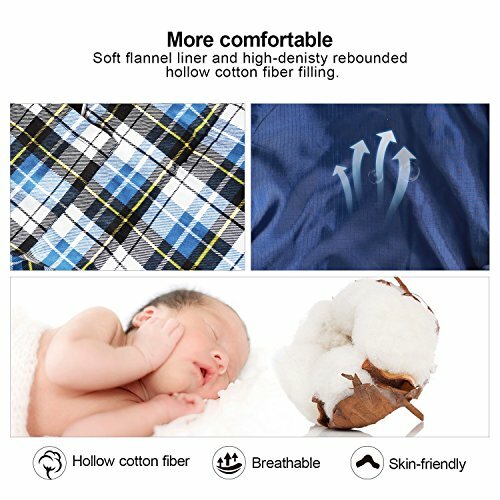 Good soft breathable cotton flannel liner + hollow fiber filling and double-layer construction increases warmth and durability. 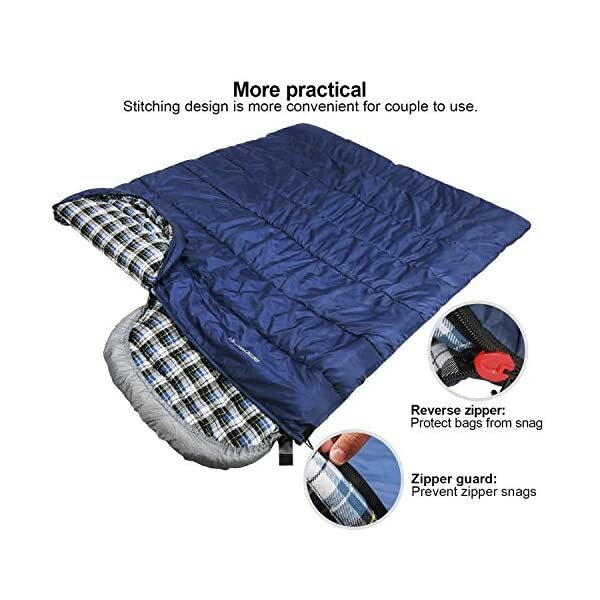 – Two sleeping bags may also be zipped in conjunction with left-hand or right-hand zippers. 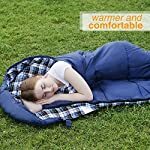 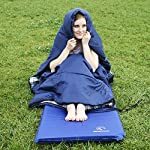 – Foldable sleeping bag is easy to pack and carry. 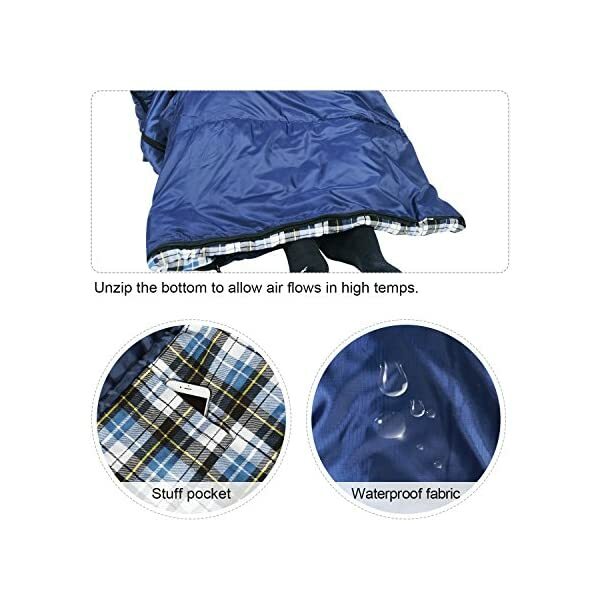 – 3 different filling weights are for your choice. 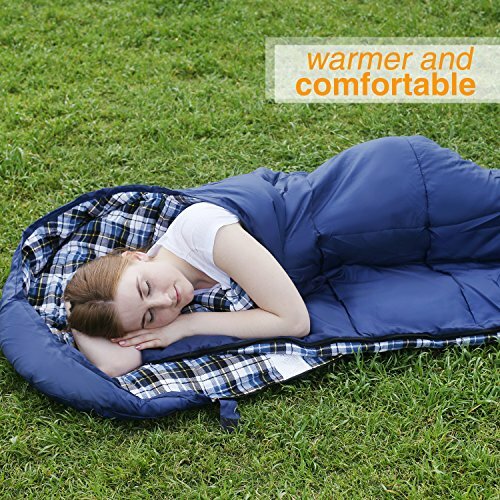 REDCAMP Sleeping Bag is great for both indoor and outdoor activities. 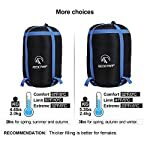 With a carrying bag, it may be taken anywhere you need to go. 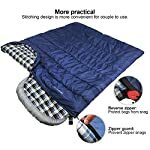 It is suitable for hiking, climbing, camping, self-driving tour, fishing and other outdoor activities. 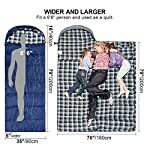 So feel free to BUY for your family & friends. Temperature Range: 2lbs filling sleeping bags is comfort in 32°F(0 degree cold weather) and fits temperature range 23 – 41 °F/-5 – 5 °C. 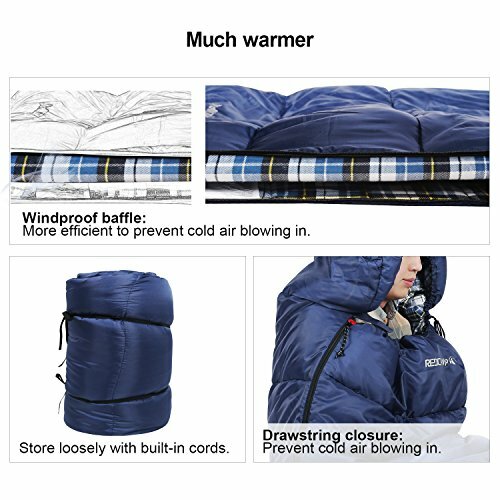 3lbs filling sleeping bags is comfort in 23°F/-5°C and fits temperature range 14 – 32 °F/-10 – 0 °C. Females are advisable to make a choice the thicker sleeping bags. 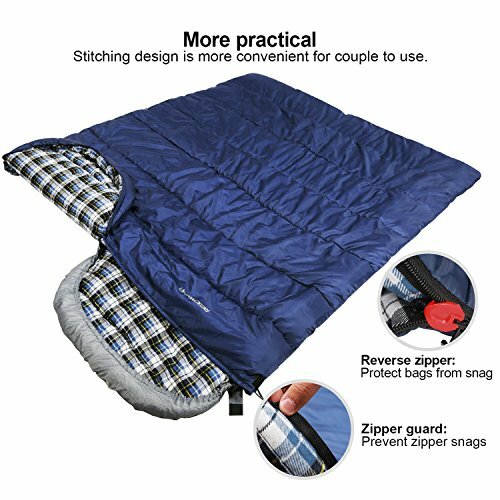 Reverse Zipper: 2-way zippers can zip 2 bags together for use as a double-bag with flannel lining. 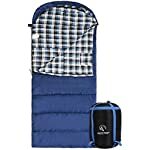 Compressed Sack: Sleeping bags for camping include a convenient internal stuff pocket on liner for storing your belongings and an external compressed oxford sack. 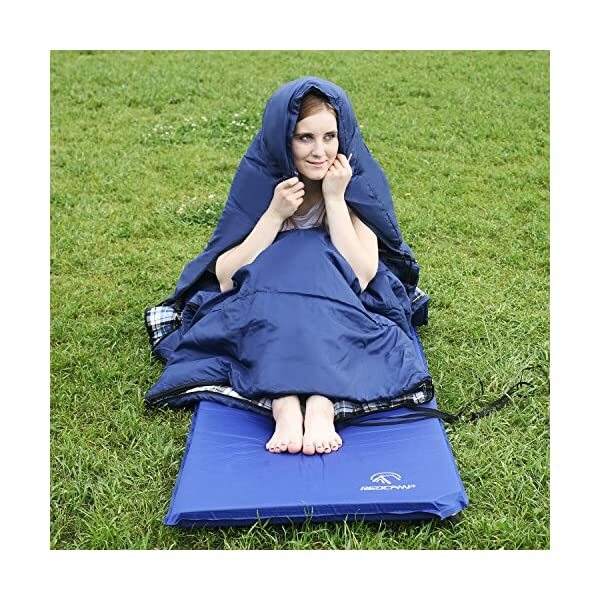 Package size: 18″x8″x8″/45x20x20cm. 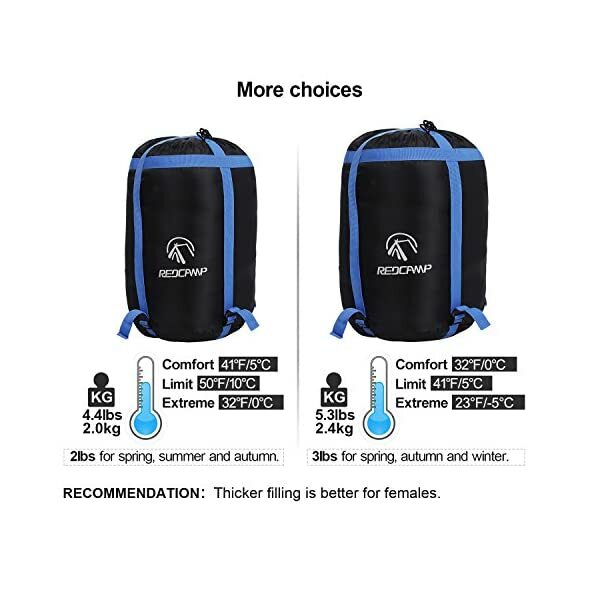 Pack weight: 5.5lbs/2.5kg. 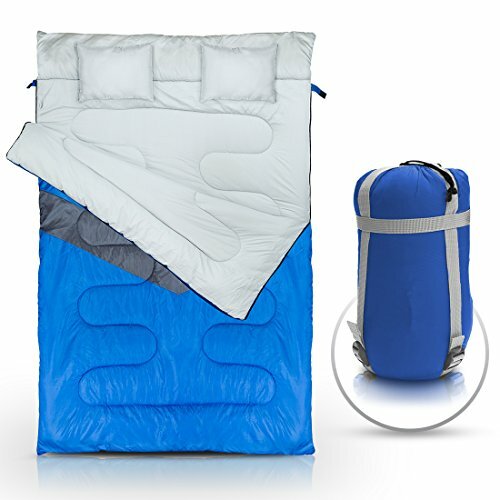 100% MONEY BACK GUARANTEE: REDCAMP offers a 365-day limited manufacturer warranty. 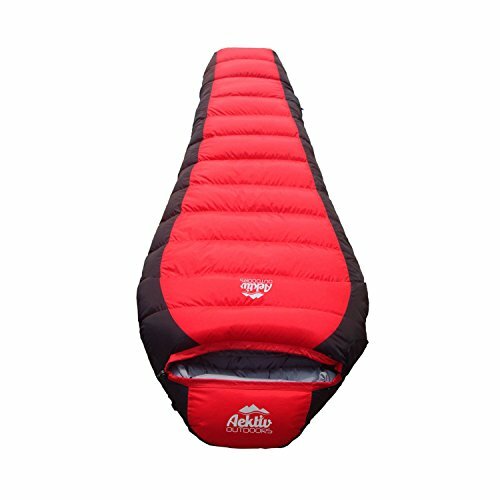 If you are not satisfied for any reason, please contact us at any time and we will be able to assist you till satisfaction.